Arrested and Charged with a Crime? Hamel Law Firm is Your Answer. Charged with DUI? We Can Help You Move Forward. Drug Crimes are Serious. So Are We. Prove Your Case by Hiring Hamel Law Firm Today. If you've been charged with a crime, the first thing you need to do is hire a criminal defense attorney to protect your rights. This is essential, as the laws surrounding criminal charges can vary greatly depending on the severity of the offense. If you’re in need of dedicated and zealous legal representation in Oklahoma, you've found it at Hamel Law Firm. 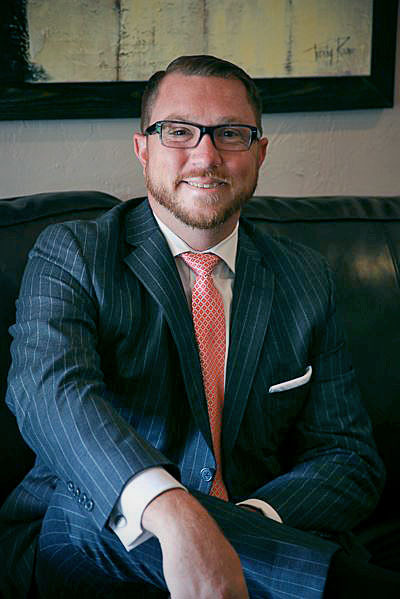 David Hamel is a former Marine with a passion for making sure his clients are represented to the fullest extent of the law. David prides himself on being responsive to his clients and returning phone calls and emails promptly. David Hamel can help you with a variety of criminal defense cases including firearm, gun possession, weapons, and white-collar crimes. David Hamel cares about you and fighting for the rights that you deserve. Call (405) 254-2141 to talk about your rights in Oklahoma City, OK! Not sure if you need to retain a lawyer for your firearm or weapons possession charge? Read on to find out why expert legal representation is essential. 1. The legal environment is ever changing; what was legal yesterday, may not be tomorrow. Lawyers are trained and equipped with the proper tools and channels, such as drug and white collar crimes, to keep current with this environment. 2. You won't save by not hiring an attorney to represent you. Criminal cases have the potential to affect the rest of your life - there is no amount of money that is worth not having effective representation. 3. The handling of evidence by the Government and its agents is a very fact-intensive area of law and it's unique to criminal law. Criminal defense attorneys handle and challenge the Government in this area daily and have a unique skill set to do so. This includes charges such as firearm, gun possession, and drug crimes. Procedures are NOT a technicality or rule, they're a fixture of the law; if not performed correctly, the Government's actions are illegal. 4. Legal documents have to be filed properly and on time for them to be considered allowable by the court. Attorneys know the ins and outs of the court system and are accustomed to filing this paperwork - if you're not an attorney, you may struggle with these deadlines and protocols. 5. Hiring the right attorney to defend you and your firearm, gun possession and white collar crimes, is the first and most important step in criminal matters. No lawyer can guarantee you an outcome, but the right attorney will be equipped with the knowledge and experience to give you options, because the right lawyer is a zealous negotiator and not afraid to go to trial. Check Us Out on AVVO!